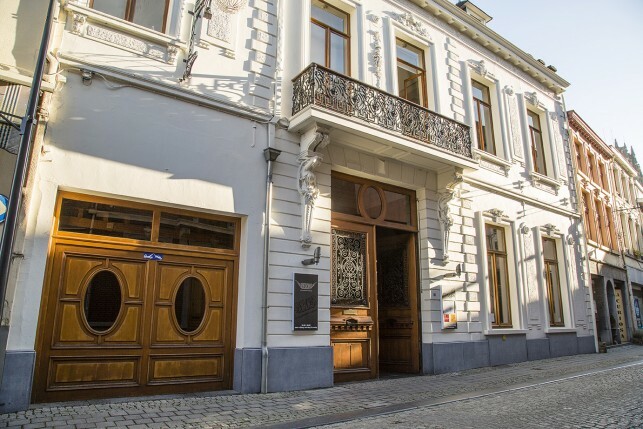 Restaurant Magis is a gastronomic restaurant located in the centre of the oldest town of Belgium, Tongeren.It is established in a beautiful historical building which dates from the 13th century. 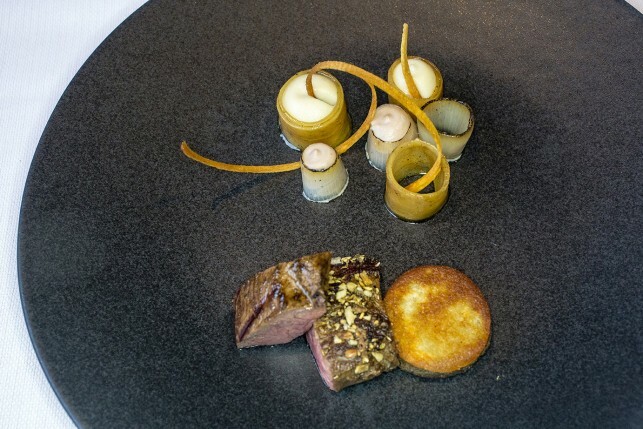 The building is divided into a gastronomic restaurant with three dining rooms, a lovely outdoor terrace on the ground floor, a bistro restaurant (Bistro Bis) on the first floor, and a section where the owners live. 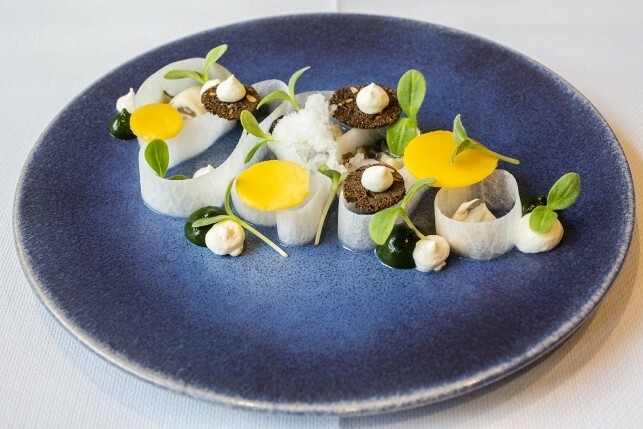 The decorations and interior of the premise demonstrate the refined taste of the owners. 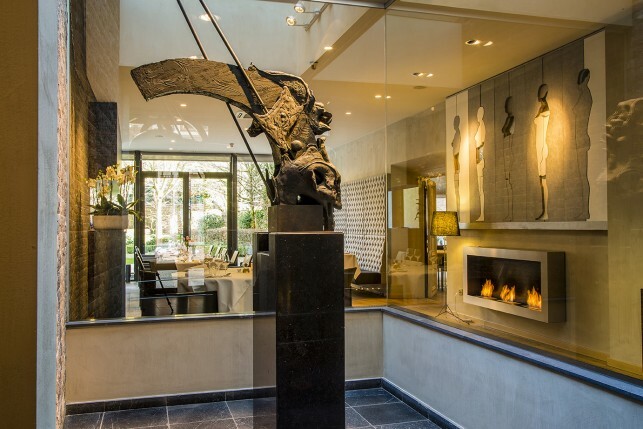 Upon arrival guests are welcomed by an impressive work of art from Octave Landuyt, enclosed in a glass case. 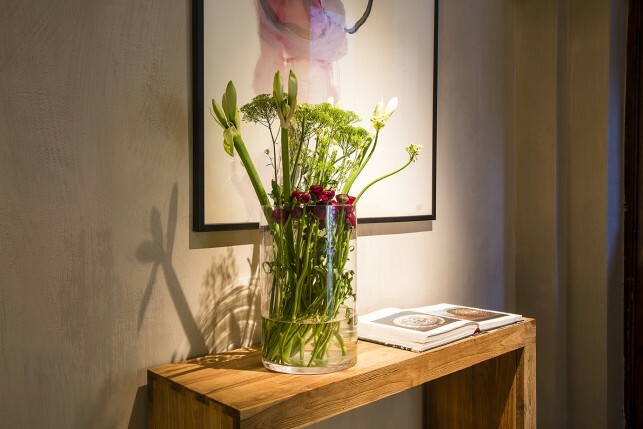 Several other artworks brighten up the restaurants and subtle lighting, the use of wood, dark colours, a fireplace and modern furniture create a warm and accessible atmosphere. 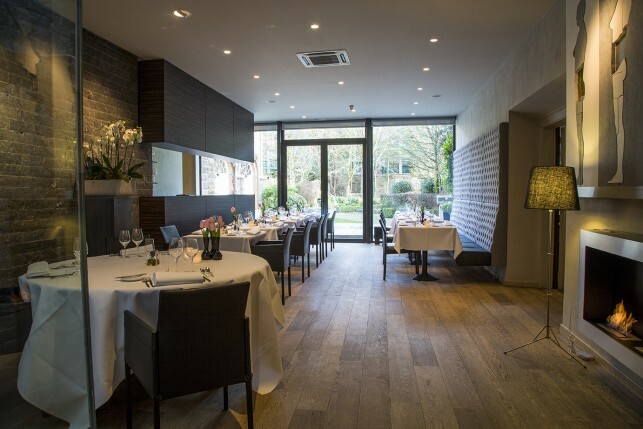 This is a great example of an excellent restaurant interior, which combines the authentic, the modern and the accessible. 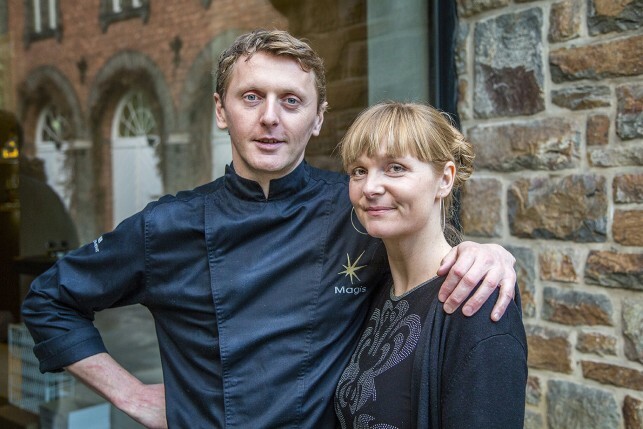 Chef Patron Dimitry Lysens and Lady of the House Aagje Moens are the owners of restaurant Magis (and Bistro Bis). 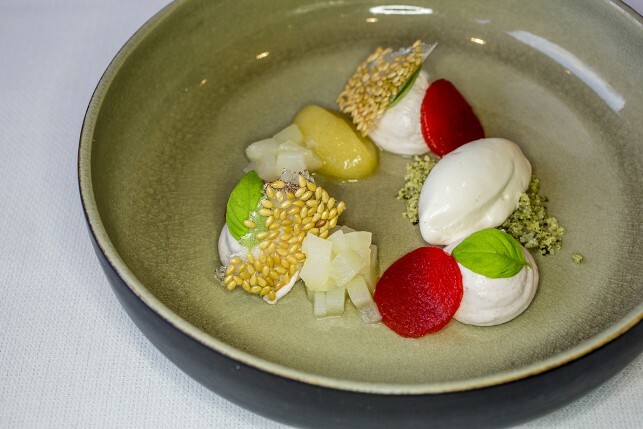 Dimitry studied marketing and Aagje holds an economic degree, but the couple quickly realized gastronomy was their true passion. 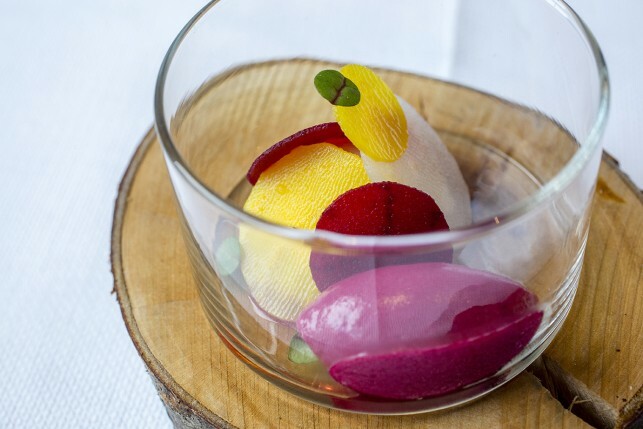 The couple decided to open their own restaurant in 2007. 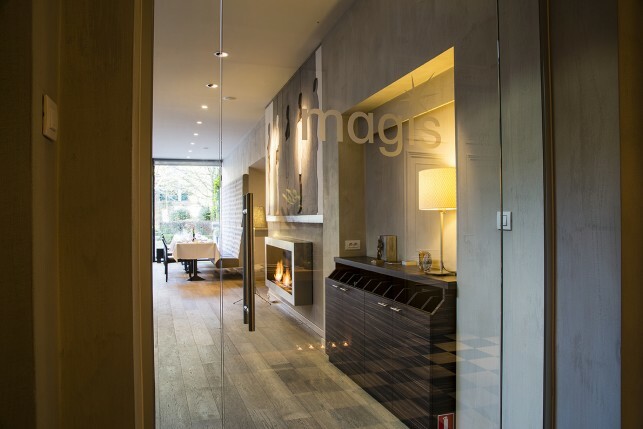 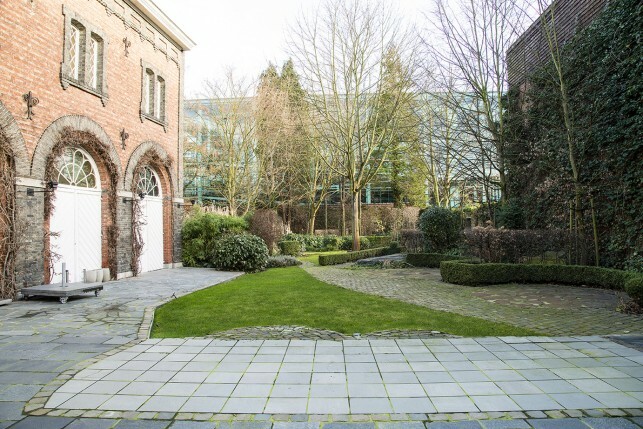 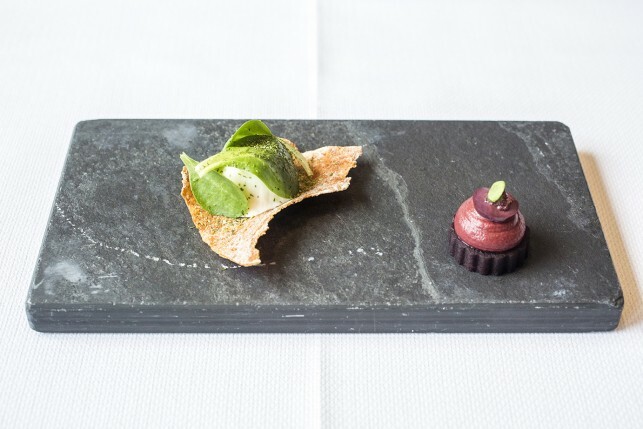 Magis quickly received a first Michelin star and became a well-known culinary institution in Belgium. 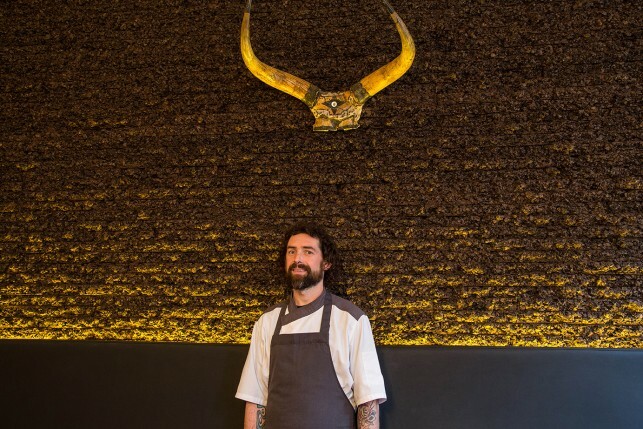 The owners also opened a second place together with their former sous chef Johan Haiverlain: Bistro Bis. 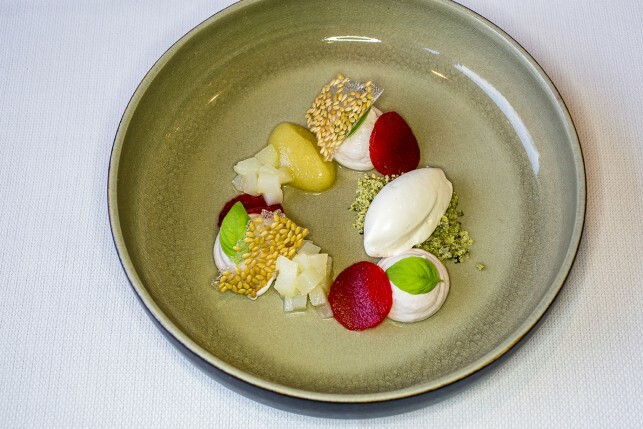 The service at restaurant Magis is led by Aagje Moens and she welcomes guests in style and with natural elegance. 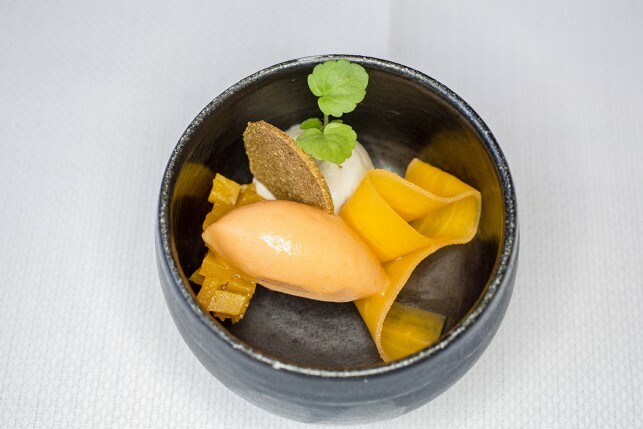 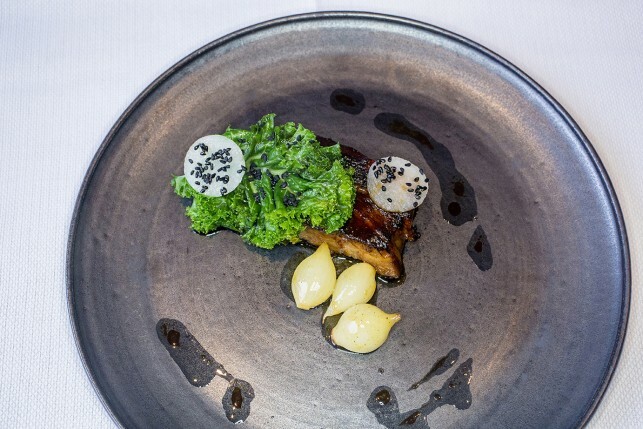 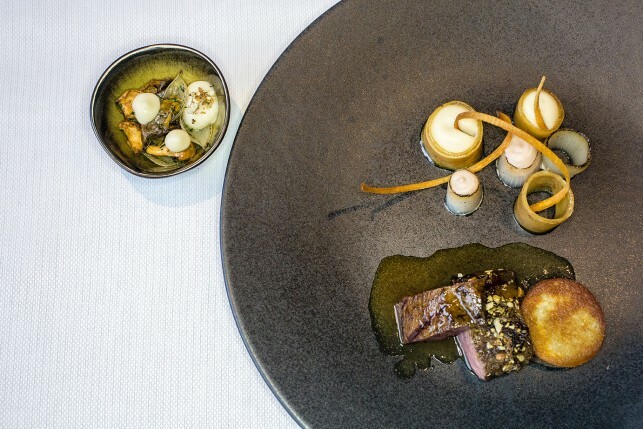 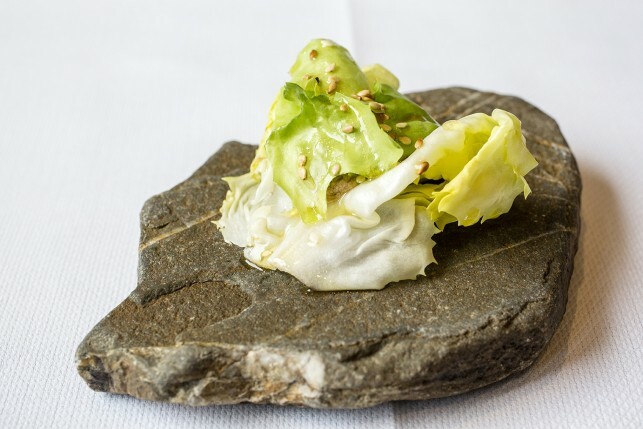 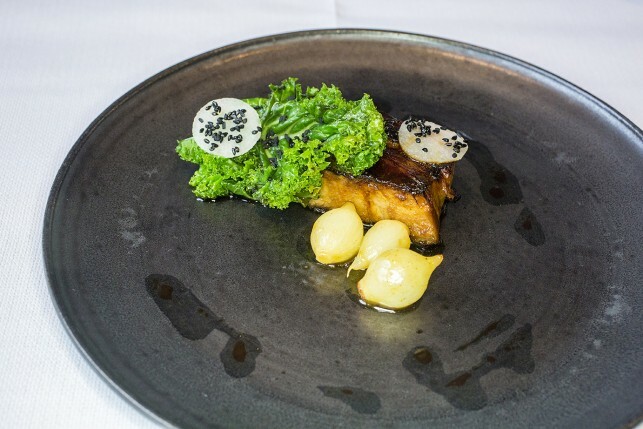 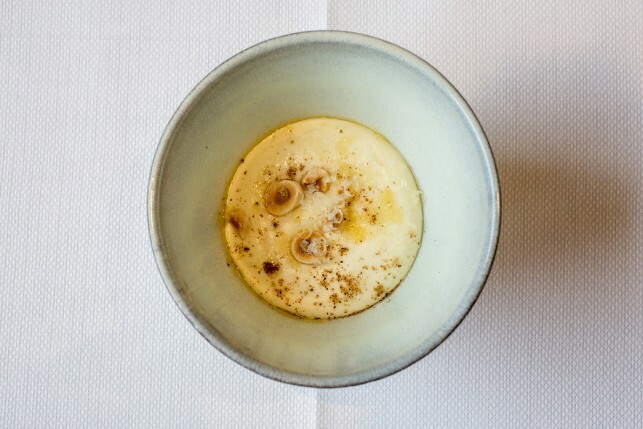 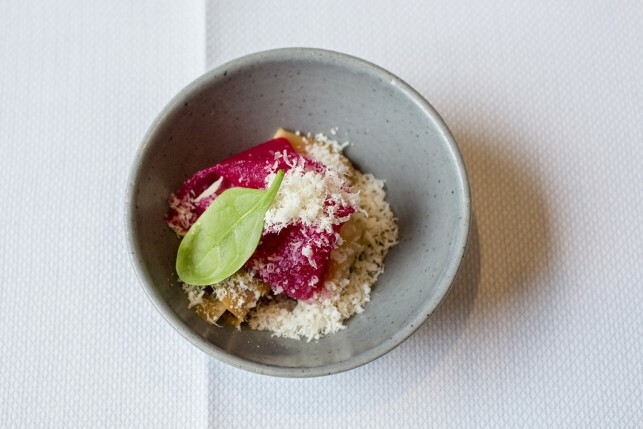 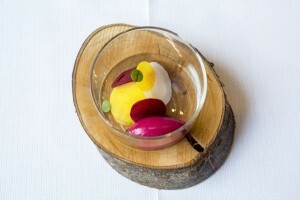 Chef Dimitry Lysens uses modern preparation techniques to prepare dishes that are based on the Belgian kitchen, but complemented with forgotten vegetables (like Jerusalem artichoke and turnip) and unusual ingredients (like wattleseed and cardoons). 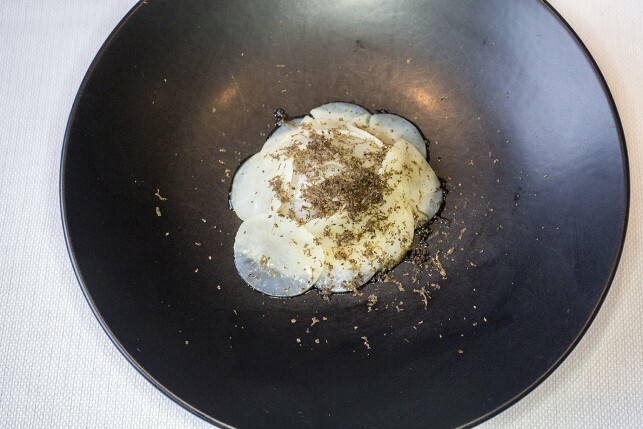 His preparations have a traditional base with ingredients like roe or pear, but are uplifted through the use of these special ingredients. 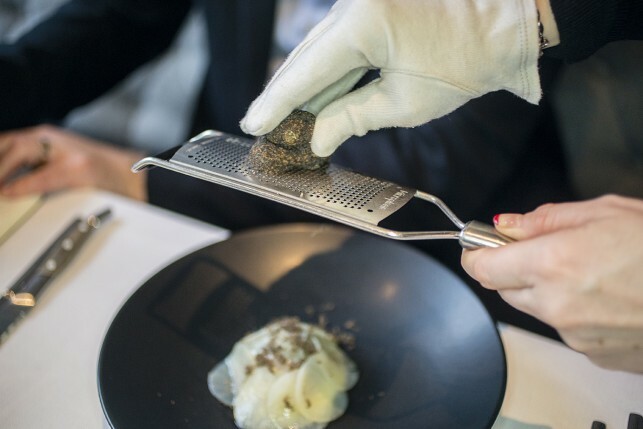 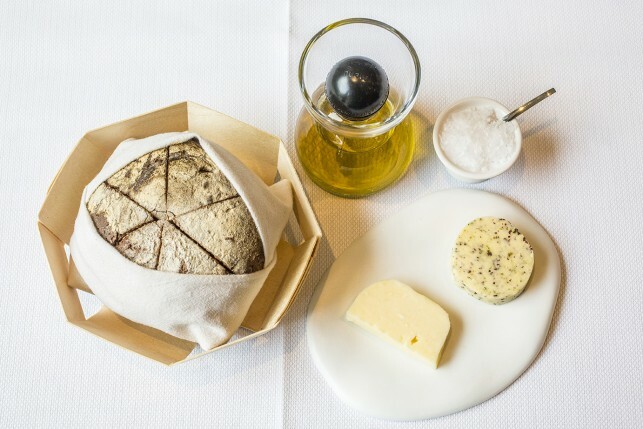 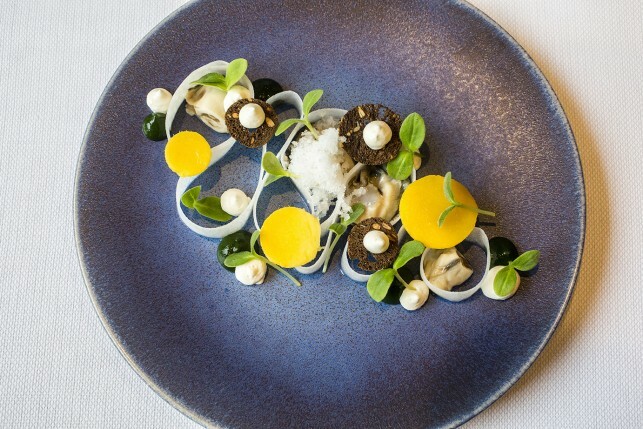 A good example is the preparation of Gillardeau oyster with snow from oyster juice, borage cress, sauce of algae, horseradish sauce, and toast of black bread and mango. 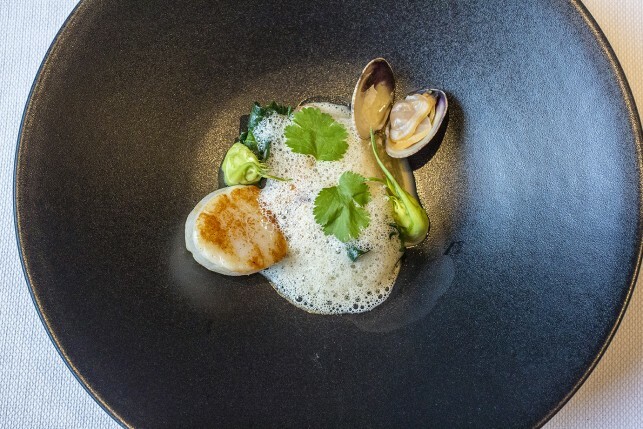 Another great starter is a preparation with St. Jacques scallops, mussels, razor clams, spinach, puntarella, citron, coriander & coconut milk foam. 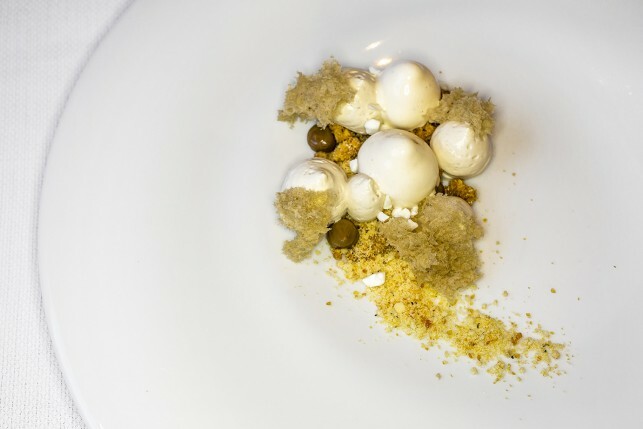 A remarkable combination of ingredients which surprises with an amazing flavour cohesion! 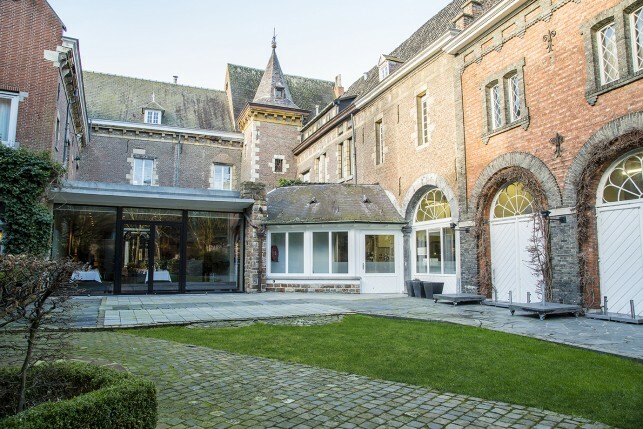 Aagje Moens is also responsible for the wine menu and offers many French wines, supplemented with Italian, Spanish and new world wines. 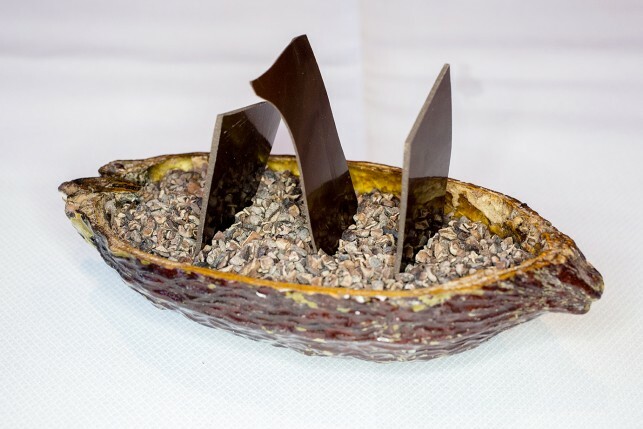 She also tries to work with a lot of natural wines and uses the pairing wines arrangements to get the customers acquainted with this type of wine. 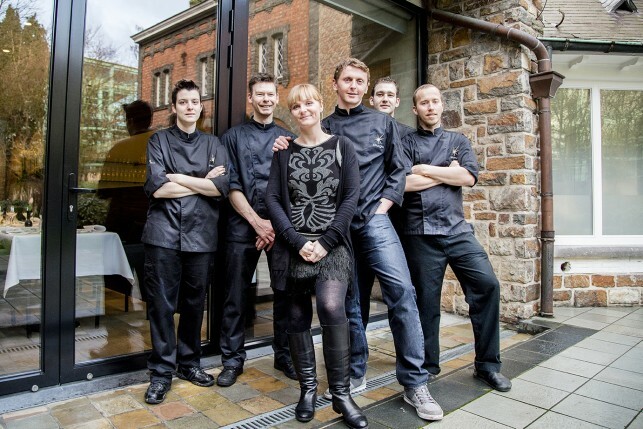 Restaurant Magis is a great restaurant in Tongeren and an extra reason to visit the beautiful Limburg region. 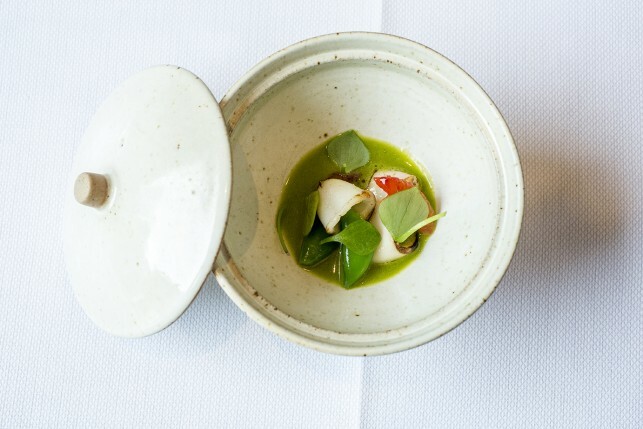 The restaurant combines a beautiful interior with great and inventive food, an experienced and passionate people. 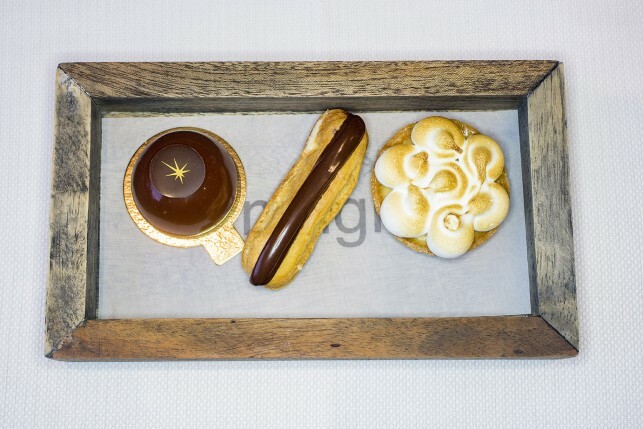 Try to combine your visit to Magis with a visit to Bistro Bis and experience the best from both worlds!